Develop your critical thinking and research skills. 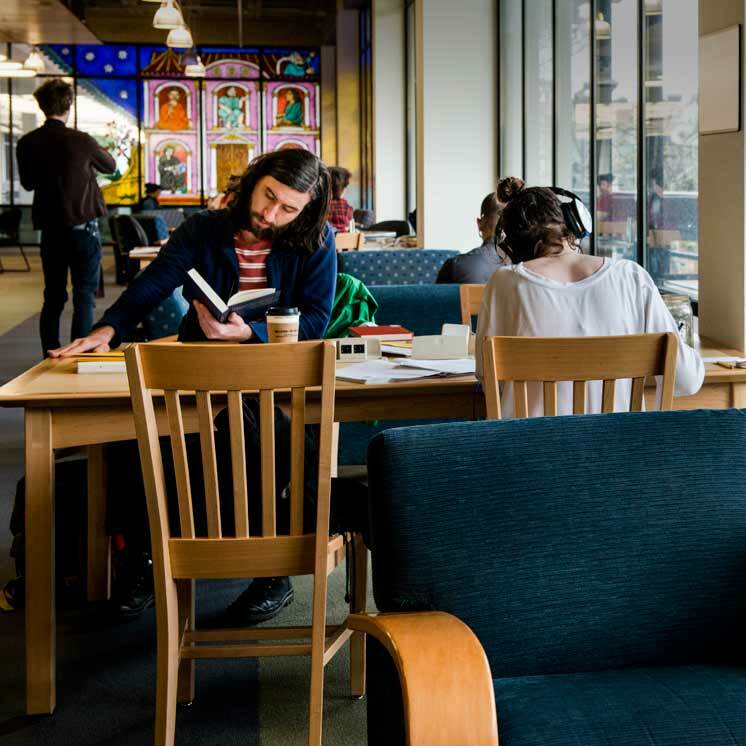 Study, create, and explore in the library. Learn how to get your books and resources for classes. Use our How Do I? library guide for tips and tricks. The library is trialing two major streaming video products in Spring 2019. Try them out and send us feedback! More than 62,000 titles including documentaries, films, demonstrations, stage performances, and more. As of April 1, Kanopy titles must be purchased before they may be viewed. If you anticipate needing a film for a course please request that we purchase it at least one week ahead of time so that we can ensure it is available. Please check to see if the title you need (or a suitable replacement) is available in the streaming products above before you request a Kanopy purchase. Running April 10 through May 10, 2019, we are also trialing two genealogy tools. Try them out below. HeritageQuest Online is a comprehensive resource for genealogical and historical research and has over 500 searchable domestic and international databases for genealogical research, containing more than 4.3 billion total records. HeritageQuest allows access for users on- and off-campus. Ancestry is by far the largest and broadest online collection of genealogical records for public and academic libraries. Ancestry Library Edition has over 8,000 searchable domestic and international databases for genealogical research, containing more than 8.9 billion total records. Ancestry only allows access for users on-campus. Additional hours of operation | Includes evaluation and break week, research desk, archives, and rare book room schedules.